If you are looking for a waterproof case for iPhone 6, the Lifeproof FRĒ can be one of your choices. So today we will be doing the Lifeproof FRĒ for iPhone 6 review. But before spending big bucks and going underwater with this case on your iPhone 6, you must first know what it is capable of and if its right for you. So now let’s get going with the review. The most striking feature of the FRĒ case is its water and snow protection. You can submerge up to 6.6 ft underwater for up to 1 hour. That’s the highest Ingress Protection (IP) rating for protection from water immersion. They test each case to make sure that all of its FRĒ cases are waterproof. Providing a waterproof feature is a heavy responsibility, one small deviation from the specs would cause a lot of damage to the user. This could be the reason why most popular brands of rugged cases do not have this feature. 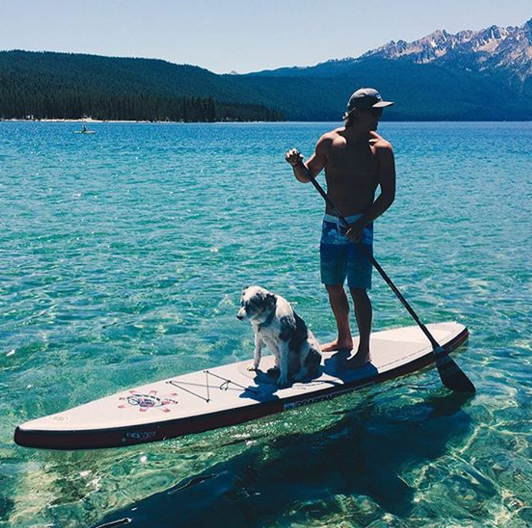 This case is perfect if any water sports are part of your lifestyle or if you are going on vacation and you really need one. If not and you are mostly at home, you might want to consider the drawbacks of this case. Let’s now see the drawbacks. You will be instructed to test your case first for water protection. You must carefully snap the case together and submerged in water for 30 minutes without the actual iPhone. If the case is dry, then you can install it on your phone. If not, you have to call them immediately for a replacement. In order to use a headphone with the case, you must carefully remove the screw of the ear jack and then carefully screw the headphone adaptor that comes with the package. If you are finished using the headphone, always unscrew the ear jack and carefully screw back the plug of the ear jack. There is no special tool to screw and unscrew, you just have to twist it with your fingers. The charge port door is only designed for the official Apple charger. If you try to use third-party cables, it may affect the waterproof feature and you don’t want that to happen. The rubber strip in the charge port door may not sit tightly so you may easily lose it. If this happens, the waterproof feature may not work and you have to call them immediately for a warranty replacement. The volume of your voice during phone calls may be not be affected. However, the volume of the voice of people calling you may still be slightly reduced. If you experienced a significant reduction in volume, that is unusual and you should contact them for a replacement. The built-in screen protector degrades the quality of the screen of the iPhone. You will lose that beautiful HD quality. 🙁 If you don’t like this, you may try the Lifeproof NÜÜD case instead. The screen’s sensitivity seems to be unaffected. However, there is a very little gap between the case screen and the iPhone screen. But for me, this is not too bothersome. Is it really “Drop proof”? The FRĒ has very high drop protection of 6.6 ft that complies with MIL-STD 810G-516.6 which is the U.S. Military Standard for drop and shock protection. The built-in screen of the case is not made of tempered glass so you will still have to worry when your drop it facing down on an uneven surface. So there is still a chance that your screen will still shatter when your drop your iPhone. The FRĒ is very tight and will prevent dust from coming in so you will save from future repair costs due to dust buildup. The FRĒ case, despite being a rugged case, is slim and compact like the other slim cases. 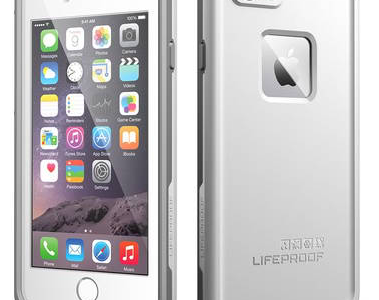 Lifeproof did an awesome job in making this case compact, lightweight, and slim. Although the back of the FRĒ is not made of clear material, it still shows the iPhone logo. If you are one of those people whose one of the primary reasons for buying an iPhone is its color and design, the NÜÜD would be a better choice. The good thing is that the FRĒ comes in 14 color combinations. If you like to have a good grip, this case provides a good but not great grip to your hands because the back of the case is slippery. The price of the FRĒ is $79.99 for iPhone 6. It provides good but not great protection from various environmental hazards. But because of the drawbacks above and the back of the case easily scratches, I don’t think it is worth the price. You may try the Lifeproof NÜÜD instead which is a little more expensive but has more advantages over FRĒ. Or you may try to get one from Amazon.com at a discounted price. 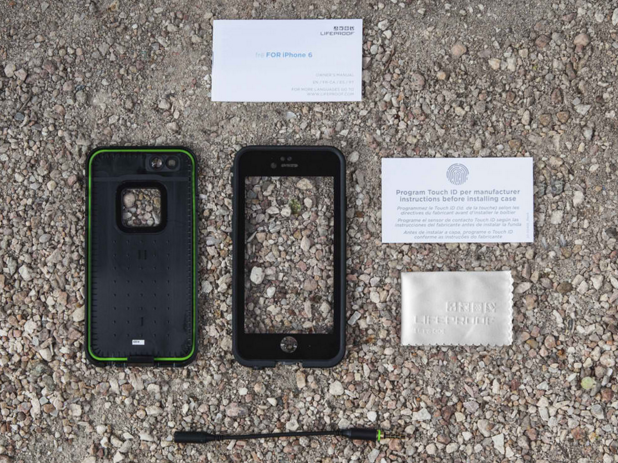 If you are always at home or at the office, I suggest you try the Otterbox and Griffin cases which are not waterproof but provide the same or even better drop protection, and a lot cheaper. The price of FRĒ case is higher compared to Seidio Obex. Seidio Obex’s retail is $69.95 while the FRĒ case is $79.99. They both have the same one year warranty. When it comes to the screen responsiveness, the screen of the FRĒ has a slight delay with the Touch ID but the screen is still very responsive. Seidio Obex may occasionally affect the Touch ID and may reduce the screen responsiveness a little. Both cases may slightly reduce the volume of phone calls. The second product that we will compare with the FRĒ is the NÜÜD. The retail price of NÜÜD is a little higher. The FRĒ is only at $79.99 while the NÜÜD is at $89.99. The NÜÜD does not affect the HD quality of the screen because it has no built-in screen protector. It has a clear case that shows the iPhone’s color and has more resistance to scratches. It also looks a lot better than the FRĒ. The good thing about the latest FRĒ case is its compatibility with both the iPhone 6 and iPhone 6s. The NÜÜD has different cases for these latest iPhone models. The FRĒ also has more color variations to choose from. So overall, I would still prefer the Lifeproof NÜÜD over the FRĒ and Seidio Obex. 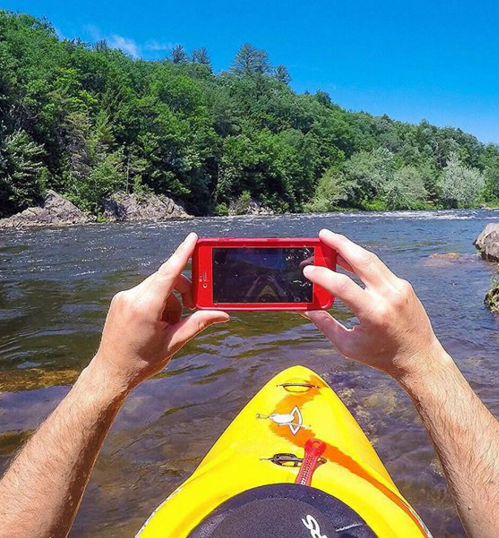 The Lifeproof FRĒ case for iPhone 6 is an average product. They should improve the material at the back of the case and make it scratch-resistant and use a better screen protector that does not degrade the HD quality of the iPhone’s display. 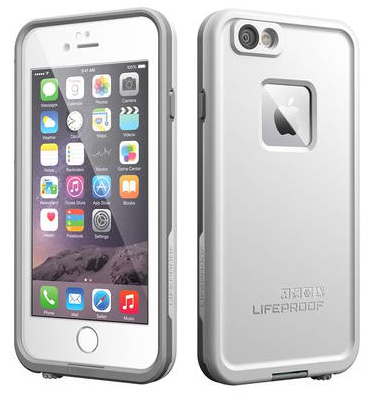 With just some additional bucks, you can already get the Lifeproof NÜÜD which is a better product. You may find the Lifeproof NÜÜD review here.